I recently returned from a trip to Nova Scotia to visit family and friends. I haven't uploaded pictures to my Facebook account yet, but have looked at them many times. Of all the pictures taken on that trip, I am most grateful for the one above. I grew up on Dixon Court, it was a short, dead end street. The four of us all grew up together there, along with our siblings. I have memories of the three women pictured with me as far back as my memories go. 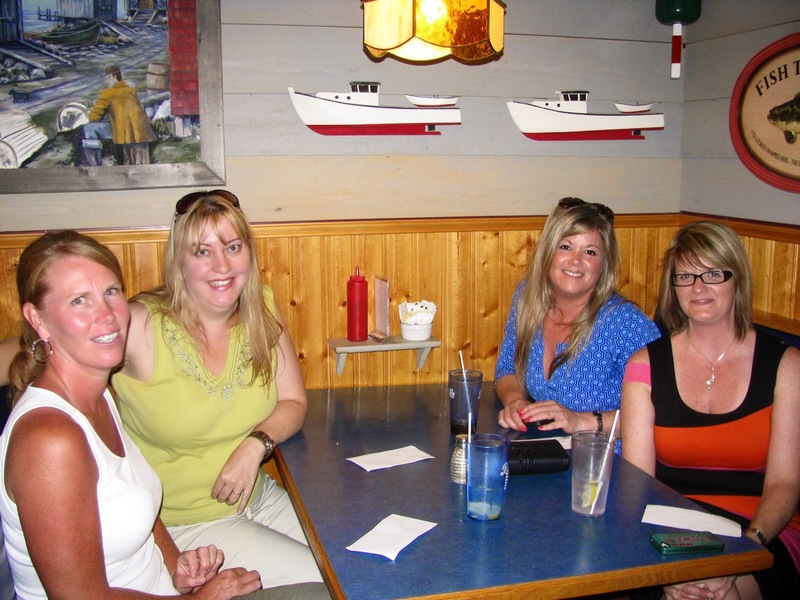 Counter clockwise; Me, Sherry, Cathy, and Heather. We played hide and seek, Barbies, had sleep overs, laughed, squabbled, cried, and discovered boys together. We all eventually left Dixon Court to start our own lives. All of us are married now, and Sherry and Cathy have children. I'm the only one living out of province, though Sherry lived in Ontario for a few years too. I honestly don't remember the last time the four of us were in a room together, but I hope the next time I'm in Nova Scotia we can all get together again, for a longer visit.